Choose your size, Buy Online! 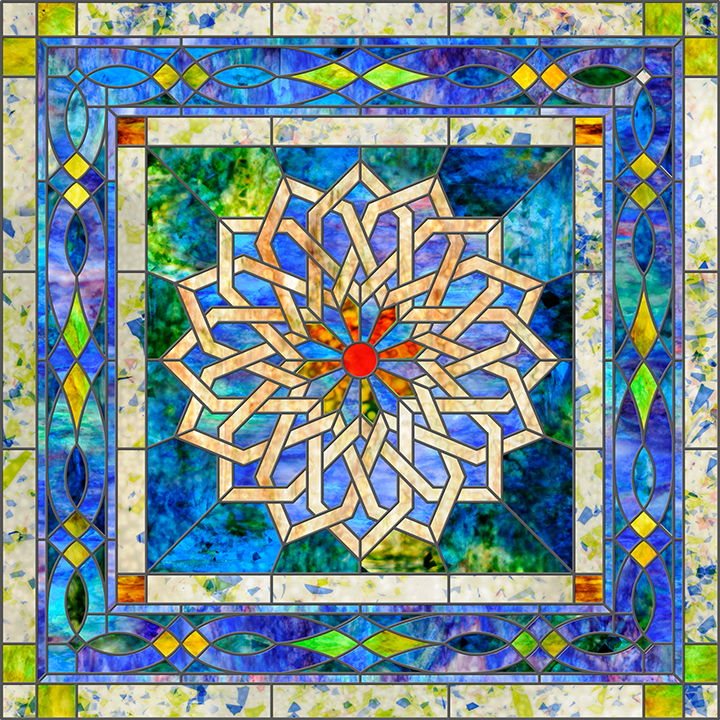 Looks like Genuine Stained Glass! 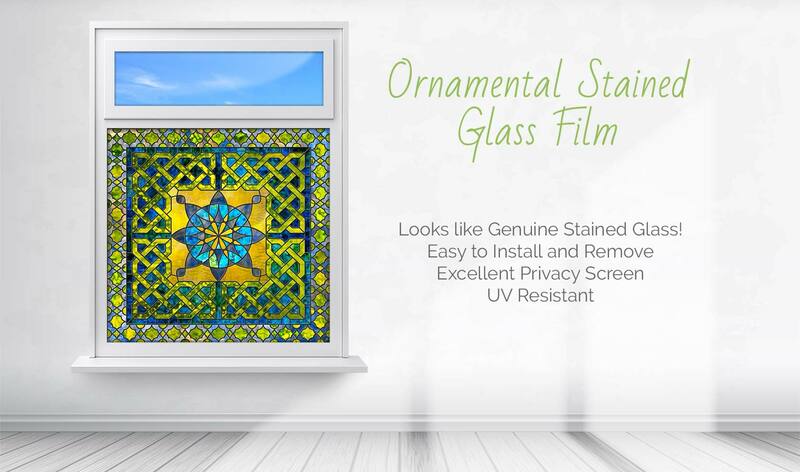 Beautiful Windows at a Fraction of the cost! 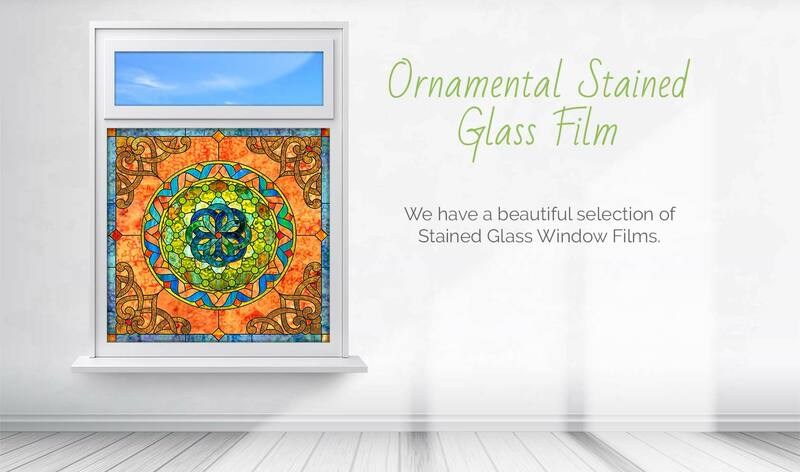 A beautiful selection of Stained Glass Window Films. 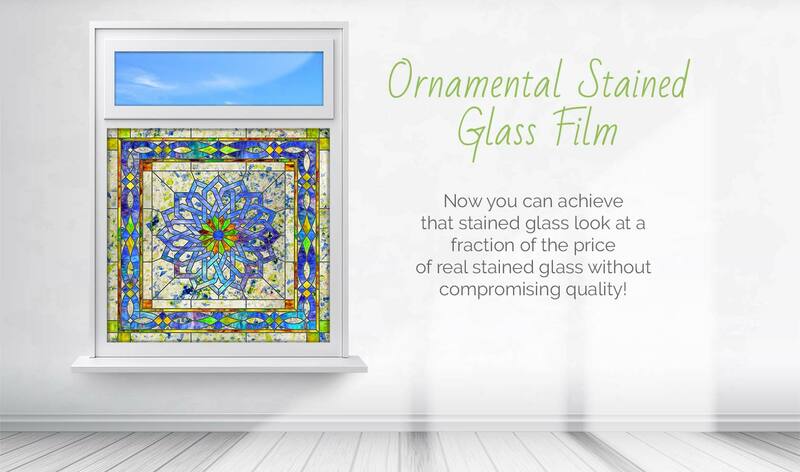 Now you can achieve that stained glass look at the fraction of the price of stained glass without compromising quality! 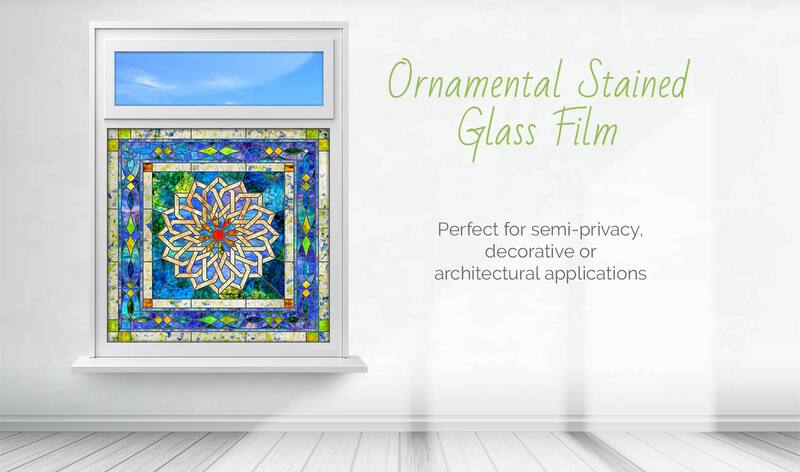 Perfect for semi-privacy, decorative or architectural applications. 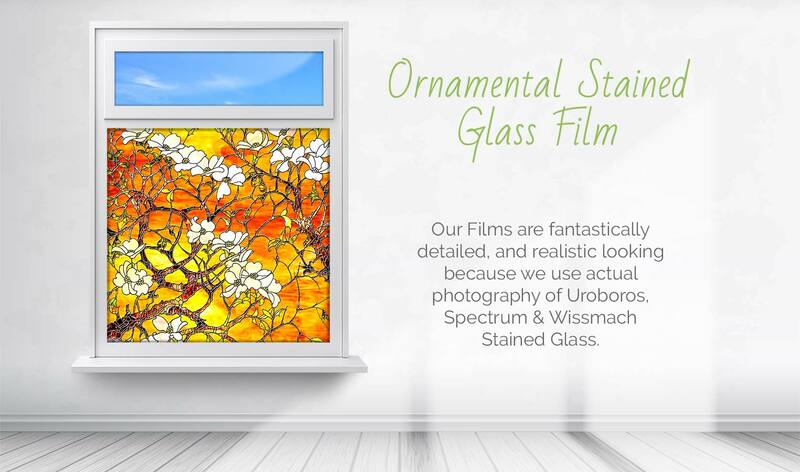 Supplied with a silicone liner, which protects the clear, pressure-sensitive adhesive, and applied using the same tools and techniques for window films.